Yesterday during the Google I/O keynote, Google showed off work it has been doing to combine the power of AI and computer vision, then implementing that into an existing product like Google Maps and Street View. What we got was a fantastic demo, and hopefully, it doesn’t remain a demo forever. As Google mentions, there are times when walking directions based on GPS inside of Maps are less than stellar. That little blue dot that represents your position is sometimes shooting all over the place, which is never helpful when you’re in a rush. Thankfully, Google realizes this, with one way to fix it being the combination of your phone’s existing camera, then the power of Google’s computer vision. Basically, you would hold your phone’s camera up to different points on the street, which the software would then recognize. 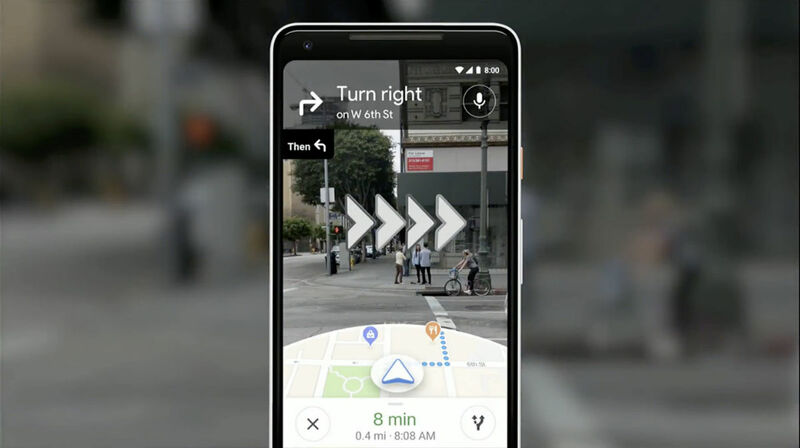 Then, augmented reality jumps in and displays directions for you, allowing for easy navigation through the streets. Google also showed off a little AR fox that can guide you along city streets, but again, this was just a demo. After showing us what computer vision can do inside of Maps and Street View, Google announced the changes for Google Lens. While cool, they certainly aren’t as exciting. Fingers crossed something like this becomes a reality soon. I have this portion of the keynote cued up below, so give it a look. After watching, feel free to hammer Google on social media about how we want this now and not a year from now.